Do you ever find yourself staring blankly at the empty suitcase on your bed? After procrastinating till the absolute last minute to pack, you sit there wondering what in the world do you need to bring with you? How can any human possibly know what they're going to need on a 3 day business trip to Tampa? So you better just bring everything. Before you know it, you're trying to stuff your entire closet into your suitcase, angry that somehow it won't all fit. Your trip isn't off to a very good start. If you travel once a year, this may not be a big deal. But for the road warrior, packing like this week after week can take its toll. So what's the solution? 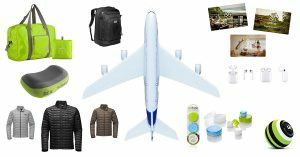 A PACKING LIST! “Oh please!” I can hear you saying. “A packing list? I travel all the time, I know what I need to bring.” We assume that if you've done it enough, you don't need a checklist to do it. But the reality is that astronauts, pilots and surgeons all know that a fundamental secret to their success is in a simple, repeatable list. 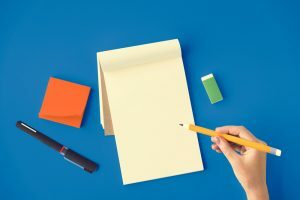 In his book, The Checklist Manifesto, Dr. Atul Gawande reveals just how powerful the checklist actual is by helping us overcome incredibly difficult and complex things with a simple checklist. Landing on the moon would have been impossible without an exact list of steps performed in the exact right order. So then if so many professions have already proven the enormous value of a list why aren't we using this simple technique to help us travel better? I make every attempt to travel as light as possible, but I still have almost 100 items on my packing list if you count everything from a toothbrush to a phone charger. Trying to remember all of these is nearly impossible and practically guarantees you'll forget something. After landing in Atlanta on one of my first few business trips many years ago, I realized I had completely forgot to pack dress pants for my meeting the next morning. So I wasted the next 3 hours at the mall and trying on dress pants instead of preparing for my meetings the next day. Something that could have easily been avoided with a simple list and a checkbox for dress pants. On your last trip, you used the last bit of toothpaste, tossed it in the trash and were sure you'd remember to grab a new tube when you repacked. Only to find yourself standing in front of the sink on your next trip without any toothpaste and wondering how much your stink morning breath will impact your sales meeting. Having a list of all the disposable or refillable items you regularly use like toothpaste, floss, deodorant and shampoo ensures they all end up in your bag. If you travel a lot, you want to pack quickly and just get it done because you have to do it so often. A list makes that happen even faster by just running down the list, grabbing whatever is next and tossing it in. The process of randomly remembering items to pack just takes too long. We all know the lighter traveler is the better traveler every time. But packing without a list will almost guarantee packing too much because you haven't trimmed your list. When you write everything that you need, you realize what items you can leave behind and what other things can fill two purposes. Hmm, can I just bring the suit jacket and avoid carrying a separate winter coat? Another reason that packing takes so long is that we start from scratch every single time. But after you've made your packing list the first time, there's very little effort involved next time you use it. You make the list one time instead of trying to recreate the list in your head every time when you pack. So let's do it now! Let's create a solid packing list that you can use from now on every time you pack for a trip. 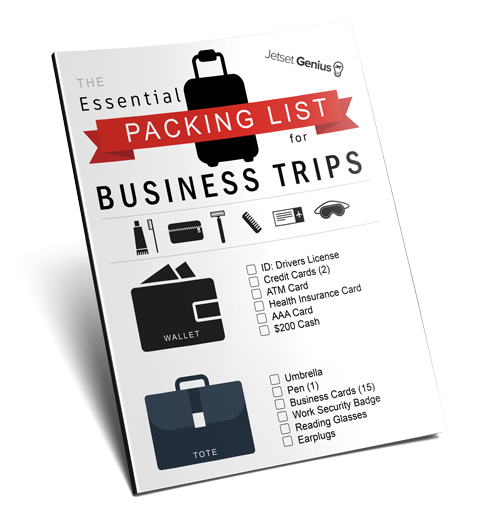 I've created a free guide that includes some of the most common items to pack for most business trips that will help you get started. 4 Reorganize the list by categories: Toiletries, Business Casual clothes, Gym Stuff, etc. 5 Save the list and start using it every time you pack from now on!